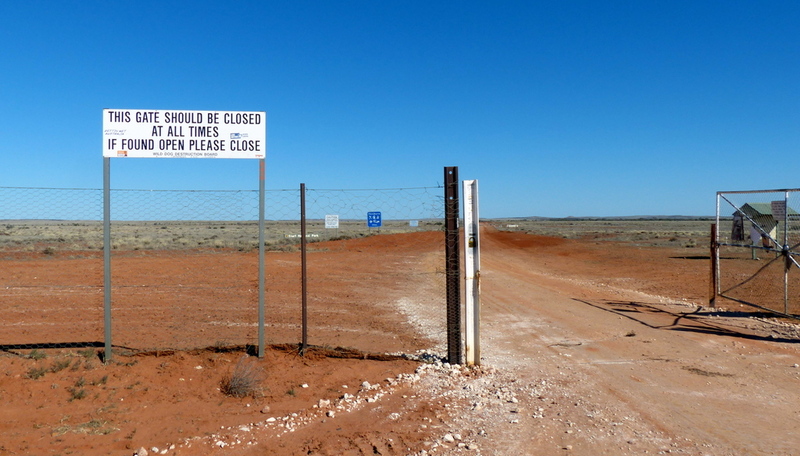 Welcome to New South Wales and please shut the gate…… this is the dingo or wild dog fence which is the longest fence in the world. More on this later. 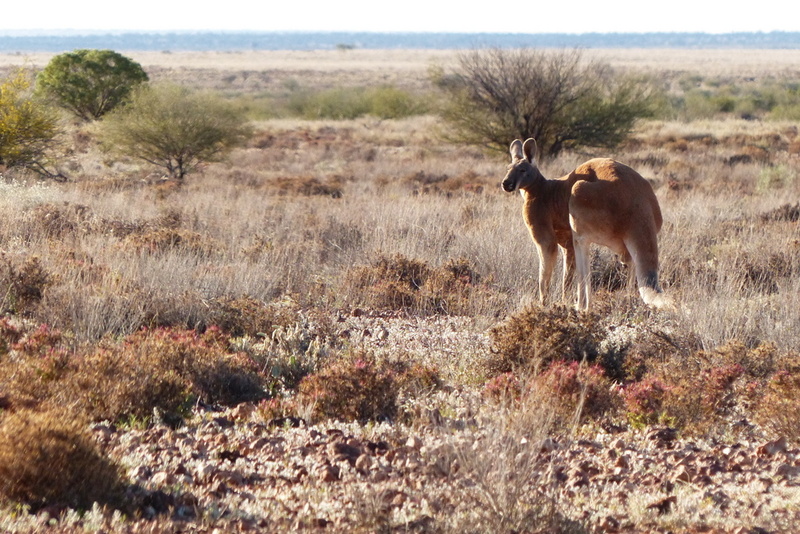 Such wide, wide open spaces – its so extraordinary to be able to see so far into the distance. 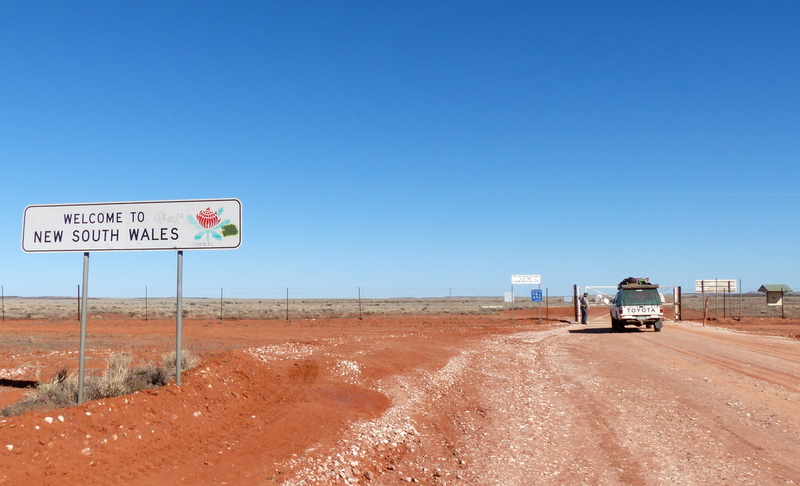 This country is harsh with extreme temperatures, low rainfall and frequent winds blowing across the flat terrain. The vegetation is surprisingly varied with some wonderful flowering plants growing vigorously in what appears to be adverse conditions. 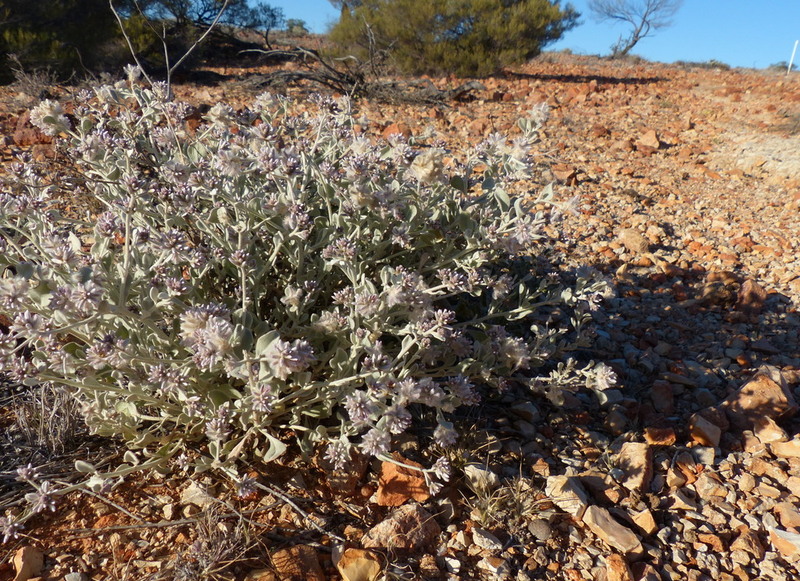 We have managed to identify a few of the plants but many are still a mystery to us. 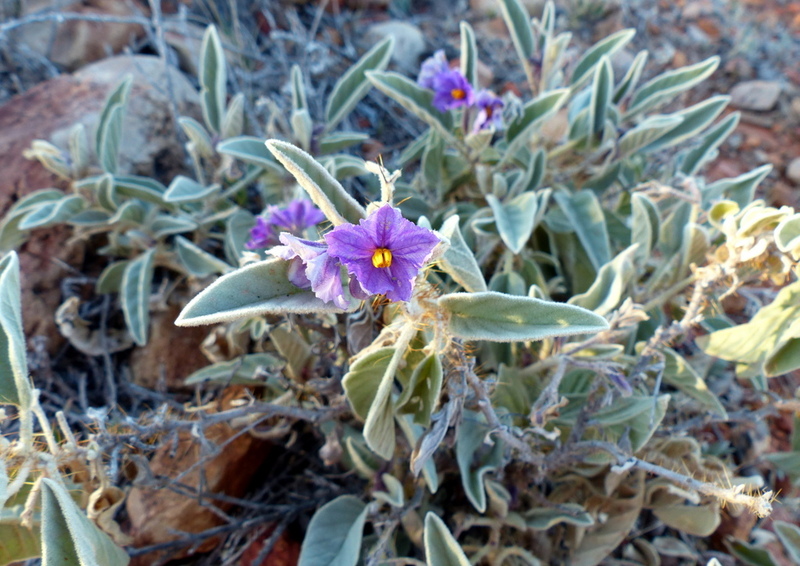 The Potato Bush below, (Solanum ellipticum) is quite common but nonetheless most attractive with its silver leaves providing a lovely background to the purple flowers. What never ceases to amaze me is the variety of plant life which is able to survive and in fact thrive in these severe conditions. 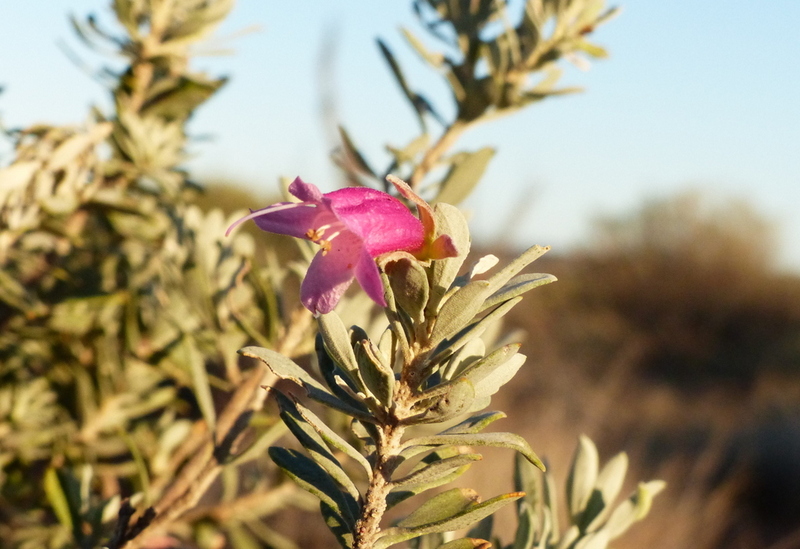 The following two photos show an Eremophila, the shrub didn’t look outstanding from a distance but the blooms were very pretty viewed close up. 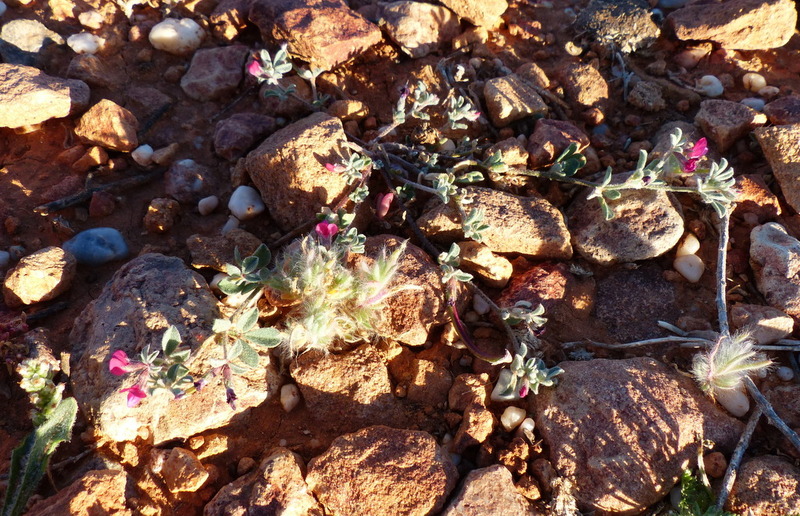 I don’t know the name of either of these plants; the first was just creeping among the stones while the second photo shows a plant that looked as though it had been specifically planted on the edge of the path. 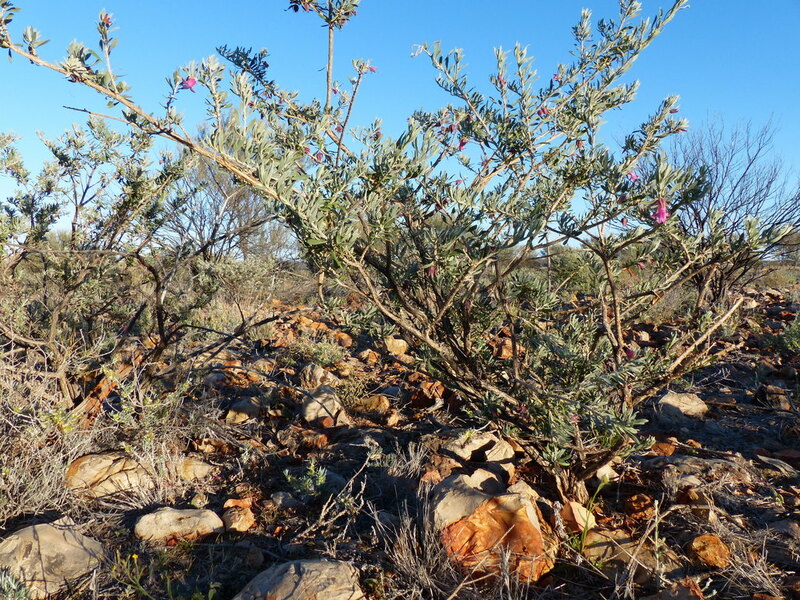 The arid landscape of Sturt is the opposite of our home territory in the wet tropics – the air is so dry that we were constantly applying lip balm. The considerably cooler temperatures have also provided a challenge for us but we came well prepared with a variety of thermal clothing – its just that sometimes the morning chill seems rather difficult to face! 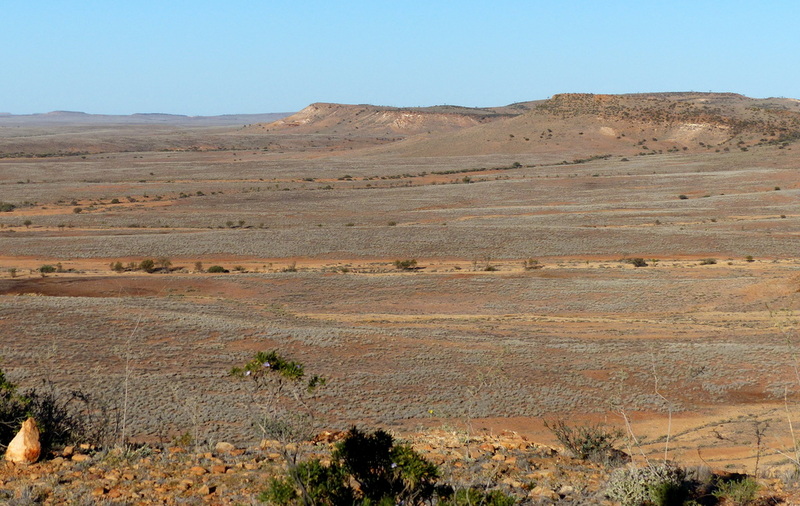 We spent our first night camped at Olive Downs in the ‘Jump Up’ country – these mesas are a spectacular feature in the landscape. They were formed because the hard Silcrete crust, which was laid down when these areas were valleys and depressions some 25 million years ago, has not eroded like the surrounding material. So what was the bottom of the valley floor is now the top of the mesa. 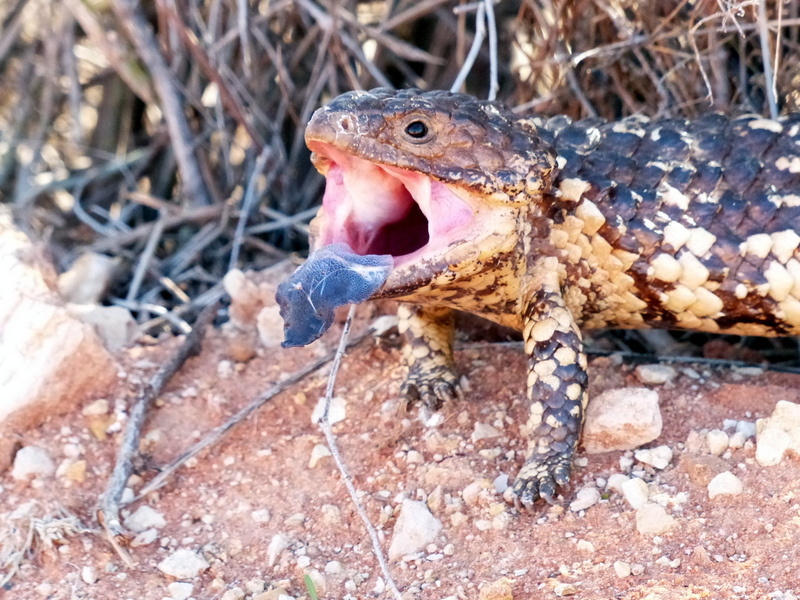 This Shingle-back Lizard greeted us on our way into the park while this handsome red Kangaroo was content just to watch us as we walked along the path across the “jump-up” late in the afternoon. This is the view from the top of one “jump-up” to another in the morning light. After this walk we packed up camp and moved to another section of the park – more on this in the next post. This entry was posted in Excursions. Bookmark the permalink.